I love succulents and cacti. All of my plants are mini size, so I have them at the edge of my window, as my “window garden”. 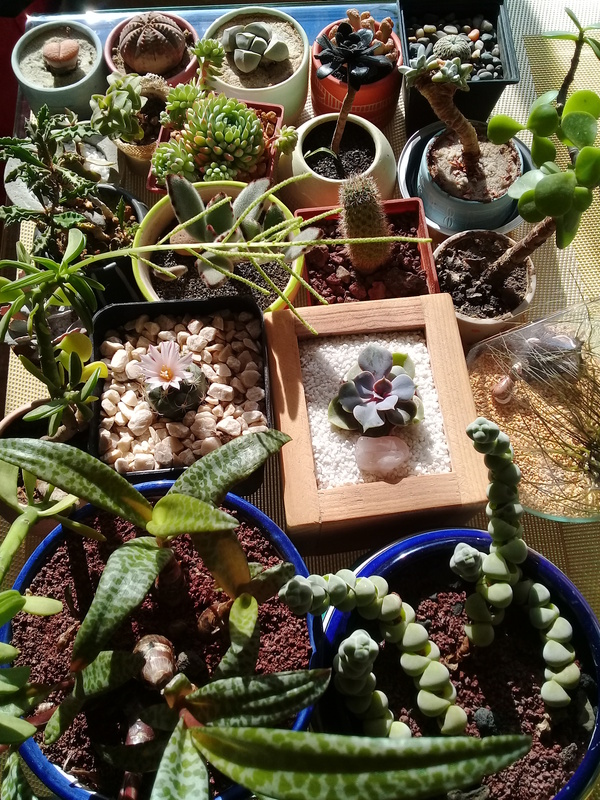 Although, in this photo I moved all of them to a table, so they can have more hours of direct sun on weekends. Taking care of them brings me joy, as well as watching them grow and flowering. The two at the bottom grew a lot, so I had to remove them from the window edge, but they have a new place.